The top-of-the-line 1103 C model is a new addition to the globally successful Travel series. Featuring a brand-new, direct-drive motor design, it comes with the high-capacity 915 Wh battery – a range-extending 73% increase in capacity compared to the base model. The 1103 C also delivers 10% more power from 1,000 to 1,100 W, a stronger aluminium pylon for increased protection from impact damage and an upgraded transom mount. Motor noise is an ultra-quiet 33 dB. 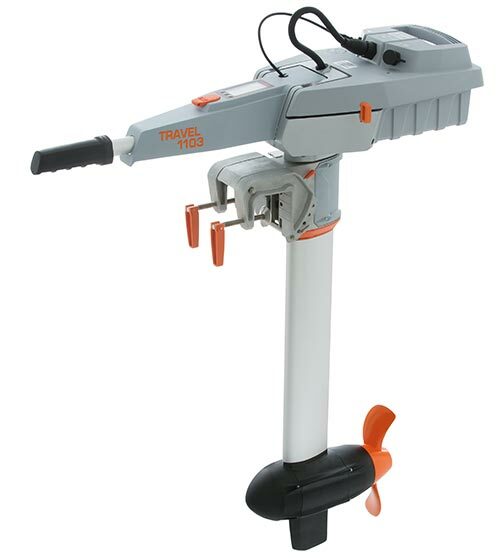 Just like the proven Travel 1003 model, the new 1103 C is suitable for boats up to 1,500 kg.